Well this is a big week for me. Frankly I am actually a little overwhelmed but in a good way, I guess. 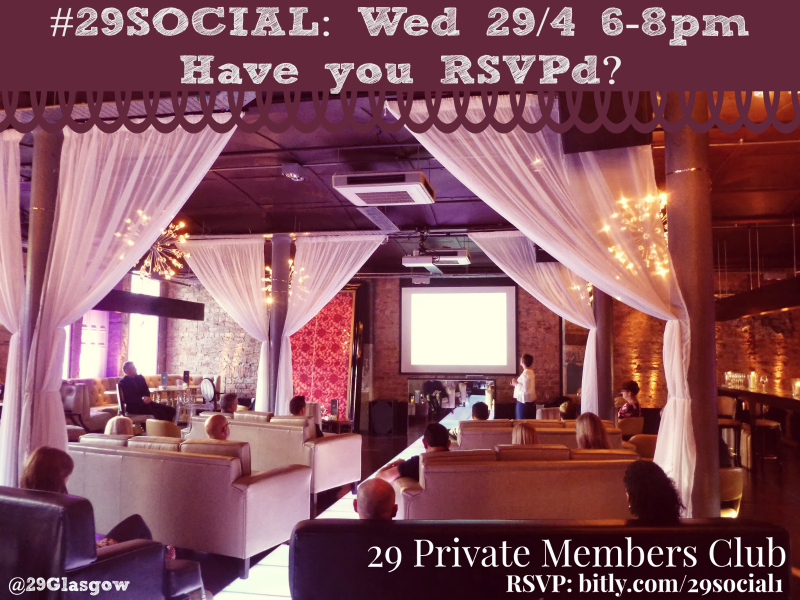 You see in 48 (and a bit) hours, #29Social will be kicking off at 29 Private Members Club in Glasgow. It’s a night of social networking, short talks, a few drinks and nibbles. It’s third one I’ve run but the last one was 18 or more months ago. There have already been around 50 who have RSVPd where they are supposed to. There are more than 80 who say they’re coming on 29’s Facebook Event page. The last ones were fabulous and I am sure this one will be even bigger and better. Have been asking people on Social Media to share their favourite track from the decadent decade! If you are in Glasgow or within traveling distances please feel free to pop along and simply click the image to RSVP over on Facebook. 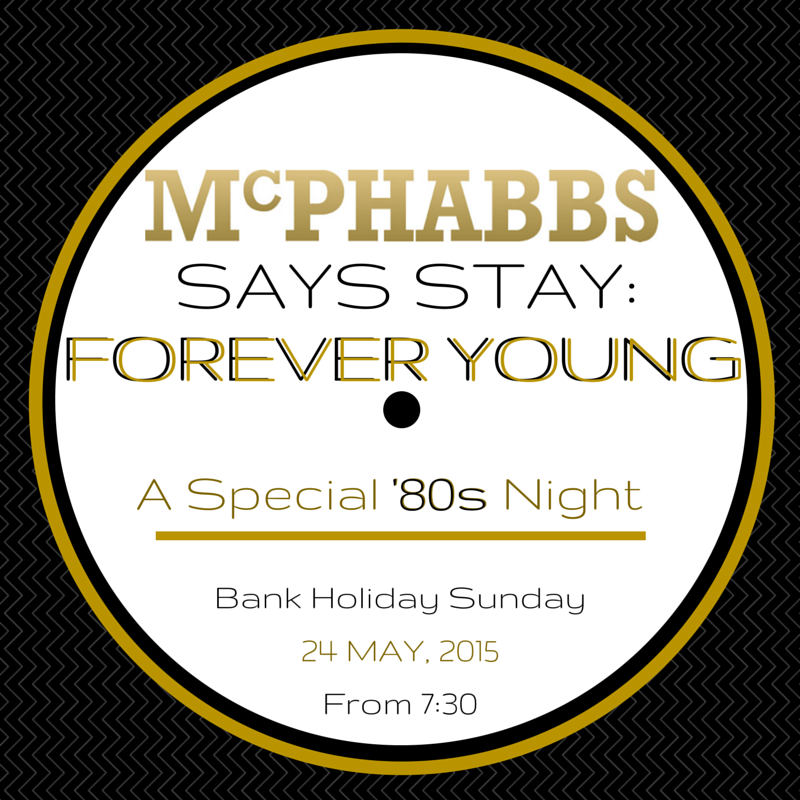 If you have a fave 80s track feel free to comment below and I’ll see if I can play it on the night! Yippeee! It’s true! I’m back! I did a big ole blog about my radio show over on Linkedin yesterday, so I don’t want to rehash what I said over there. Suffice it to say, I am back on air from this Sunday night at 8pm. I’ll be playing all kinds of music from Scotland and in Scotland. In other words, my favourite Scottish tracks and any relevant acts who may be coming to Scotland to play live. That keeps it pretty broad. And though it’s on Celtic Music Radio there will be little, if any, “traditional music” on my show. I’ll be saving that for actual Scots! I haven’t had time to really focus on a playlist but can tell you I am considering tracks from the new Gun record and Admiral Fallow too. 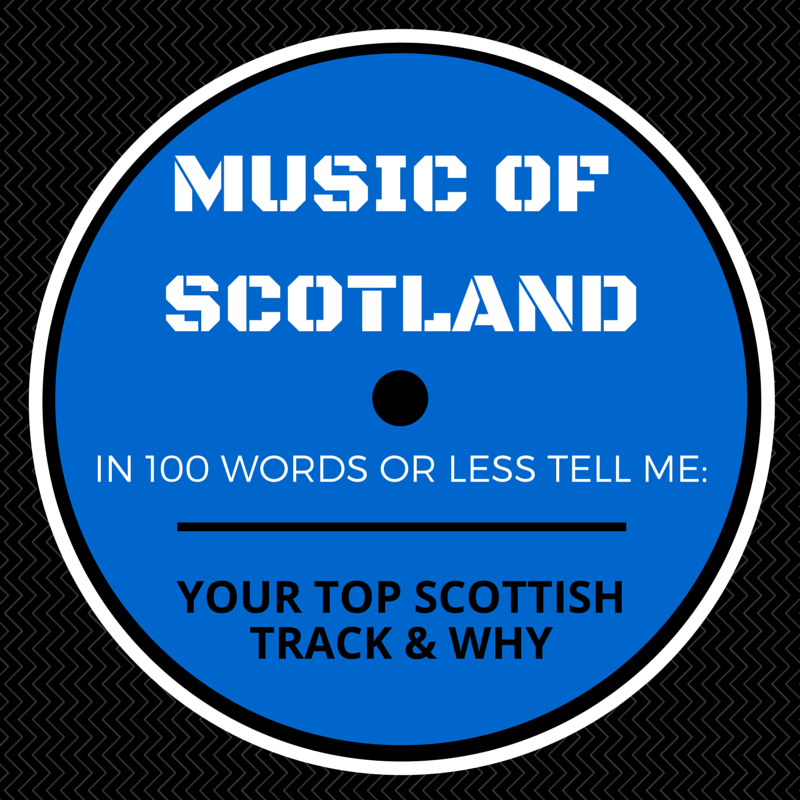 The rest will remain to be seen…Any suggestions on Scottish tracks for my show? Place them in the comments below. Still doing the #5x50Chal too…Yesterday was a 40-min run (a best for this challenge) and today a walk before the sleet arrived. Feeling pretty good over all. Hope you are too!